Blockchain might well be a revolutionary technology that could shape the future of travel — especially payment settlement and fraud prevention — but it is also “the most overhyped technology right now,” according to Norm Rose, senior technology and corporate market analyst at Phocuswright. Blockchain, which was created to communicate and secure bitcoin transactions, has become a buzzword across multiple industries, and experts like Rose predict that it could begin to impact the corporate travel sector in measurable ways in the next three to five years. But right now, the technology is young. “What happens when you have technology like this is that the truth is somewhere in the middle [between revolutionary and hyped],” Rose said on stage at the 2017 Phocuswright Conference here this month. Essentially, a blockchain database stores information across multiple computers on a peer-to-peer network. Once something has been verified by so-called miners — typically, computer users who get compensated for verifying transactions — it is immutable and cannot be changed. There are both public and private blockchains (users are anonymous on public blockchains), and information is stored chronologically. Rose and Grass agreed that blockchain’s most likely application for the travel industry is payment settlement. The technology, Rose said, could help reduce settlement costs and time. 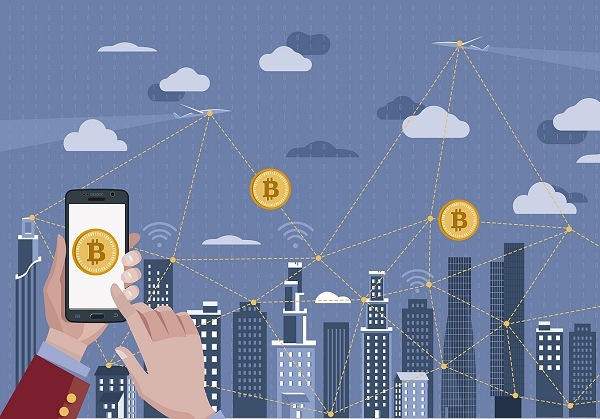 With bitcoin, blockchain essentially eliminated banks, or financial middlemen. That could have a significant effect in travel, he said, but that likely does not mean the industry’s middlemen — mostly OTAs and GDSs — will be put out of business. “It has the potential to change their world,” Rose said, much like telephone companies have moved from charging per minute of landline use to becoming internet service providers and migrating to wireless phone service. There are a number of other potential uses of blockchain in the travel industry. For example, in a recently published white paper, Grass called out uses such as improved baggage tracking and identity management. It could also make loyalty schemes more user-friendly by making it easier for suppliers to partner with each other and transfer loyalty points.